This week. Crazy. And for all the best reasons. Just today I spent my whole afternoon in the kitchen making our wedding cake - crossing my fingers at every step because I can be extremely hit-and-miss when it comes to baking - and when dinner time rolled around ohhh I couldn't be bothered. I did, though, because I had to, but I wanted something easy. Seeg's parents landed in the country yesterday and came to see us for a few hours, and we got on to pasta and how it's so easy, that you can't get it wrong, and that after all the travelling, you really don't want to have to slave over the stove for a filling meal. So I turned to pasta this evening, but as I had no bacon, no soft cheese and no spare eggs, I couldn't rightly fall back on ever-reliable carbonara. But I did have coconut milk and spinach, and some turkey mince in the freezer. And as it turns out, that's all I really needed for a light alfredo pasta. 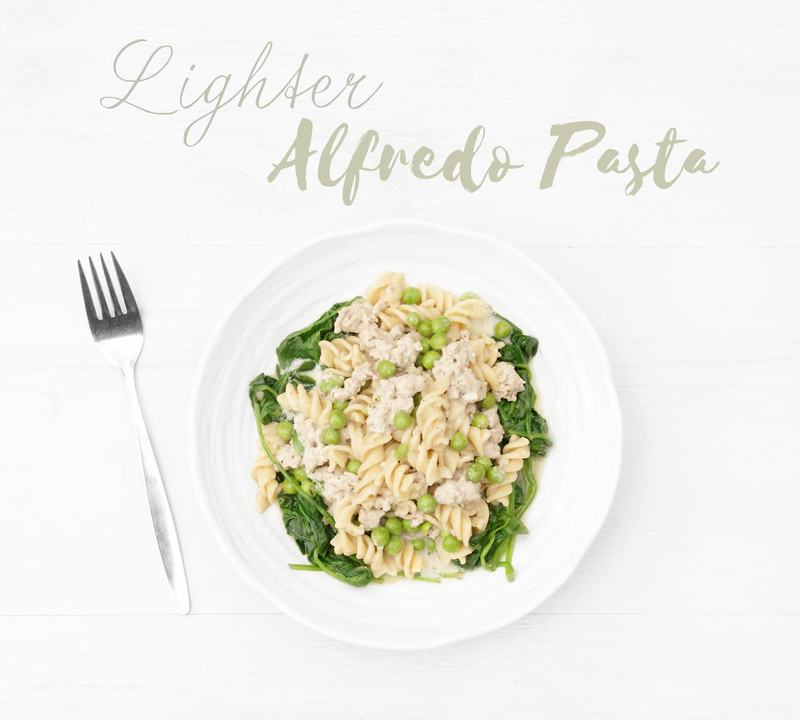 This recipe, particularly the alfredo sauce, is much lighter than your typical recipe because it's lower in fat and calories. That's not to say, however, that it is fat-free. Nor is it saturated fat-free. But don't run off just yet! This is where we get scientific. A good deal of the saturated fat in this recipe comes from the coconut milk, but these particular saturated fats aren't 'evil' - they're dominantly in the form of the medium-chain fatty acid lauric acid, which is converted into energy much quicker than other saturated fats and is, as a result, far less likely to be stored as body fat. Lauric acid is also highly beneficial, converted in the body into monolaurin, a compound which is antibacterial, anti-fungal and anti-viral. Despite the inclusion of coconut milk in this recipe, it does not taste like coconut. Not in the slightest. Seeg hates coconut and, to be honest, so do I, so believe me when I say we were both looking for the coconutty taste and neither of us found it. 1. Heat the pasta according to the package instructions, but use your judgement. Heat for an additional 5-10 minutes if desired. 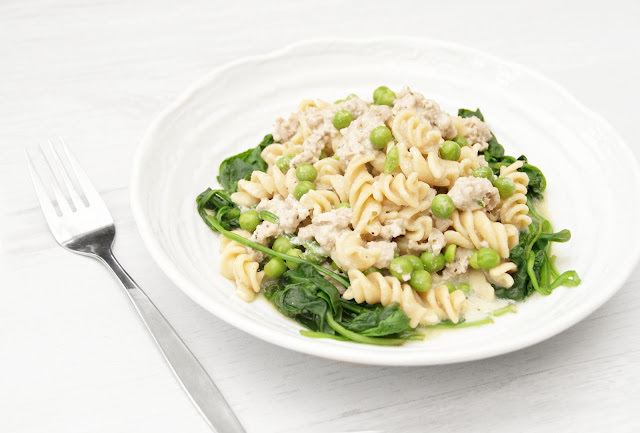 Wholegrain pasta and rice both seem to take longer to cook and soften, no doubt due to the higher levels of fibre. If in doubt, make the pasta with an extra 10-20 minutes to spare; leave in the pan, covered, and turn off the heat if it cooks sooner than you're ready for it. 2. Fry the turkey mince or chosen substitute and crushed garlic for 8-10 minutes, stirring frequently and breaking clumps apart. 3. Shake the coconut milk before opening to recombine it all, then pour over the turkey. Stir in the herbs, peas and shredded cheese and leave to heat for another 10 minutes. 4. Meanwhile, steam the spinach for 3 minutes. 5. 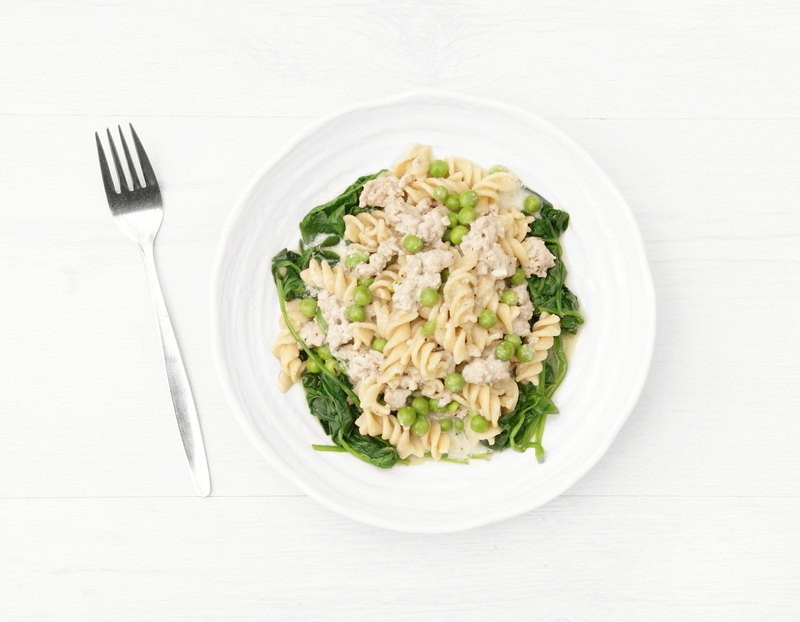 Combine the pasta with the coconut turkey. 6. Spoon the spinach onto the plates, then top with the pasta mixture and serve. • I cooked my pasta by bringing it to the boil, as instructed, and then lowering to a simmer for 10-15 minutes, as the packet said. I then heated it for an additional 5-10 to soften it further.